Raghu Roy is the MD of MaRS, a full service market and social research agency. 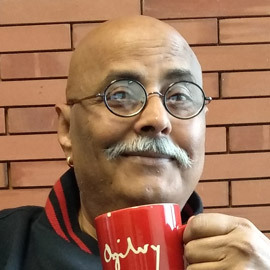 Raghu has worked with the major agencies in the past including ORG (Nielsen) and IMRB.During his stint as the CEO of ORG, he formulated and launched India Readership Survey (IRS) in association with MRUC. During the launch of IRS, he introduced rural readership for the first time in India. He has also revamped retail audit for FMCG, FMCD, pharmaceutical products. In 2015, MaRS, in association with IIM-A and Geometry Global, launched R: Scape, an in-depth consumer study in rural India. Overview: As marketers and content developers for products, services and communication in rural India, we form our hypotheses about rural consumers. How much do rural housewives identify with urban relatives and friends? How different are they with young men on this aspect? What proportions are getting influenced in their observing rites and rituals promoted in TV serials? Does liking an ad influence in converting the brand as the favorite? 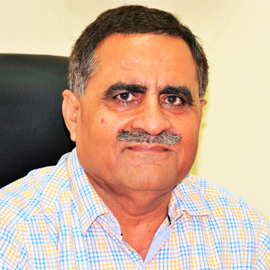 Arvind Sharma is a holder of PGDM from the Indian Institute of Management Ahmedabad - 1977 batch. 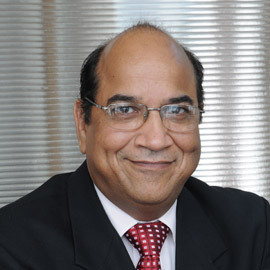 In his last corporate role, Arvind was a member of the Global Leadership Council of Leo Burnett Worldwide. And Chairman of the India Subcontinent arm of the Publicis Groupe spanning all of the Groupe’s Media, Digital and New Media services. After spending over three and half decades in marketing and advertising, Arvind turned tech & Internet entrepreneur. He created an e-commerce venture from which he successfully exited recently. He has other projects in the works. After leaving IIMA, Arvind spent his first few years in marketing with Voltas before switching to advertising. 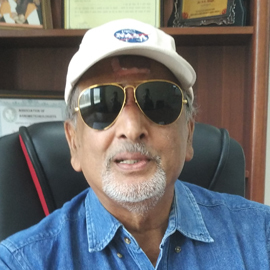 For well over three decades Arvind Sharma has been closely associated with brands like Ariel, Cinthol, Complan, Coca-Cola, Chevrolet, Fiat, Glucon-D, Goodyear, Hitachi, Heinz, Marlboro, Limca, Maaza, McDonald’s, Minutemaid, Old Spice, Pillsbury, Samsung, Thums Up, Tide, Telenor, Ultratech, Vicks Vaporub, Whisper. His clients included large local Indian groups like Bajaj, Godrej, HDFC, Reliance, Tatas & Wipro. He has been the copywriter behind a number of famous campaigns in India including 'Kya haal banaa rakha hai kuch lete kyon nahin' for Coldarin, the ‘Aam admi’ campaign that brought the Congress-led UPA government to power. 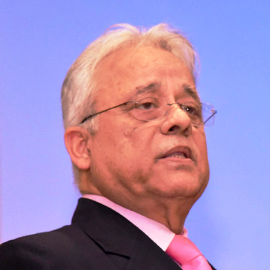 Arvind Sharma is ex-President of the Advertising Agencies Association of India, ex-Chairman of Advertising Standards Council of India, ex-Chairman of Media Research Users’ Council of India and founding Director of the Broadcast Audience Research Council of India. Arvind is also a member of the Board of Governors of Education Support Organization- an NGO focused on innovation in education at the primary & secondary school levels in India. 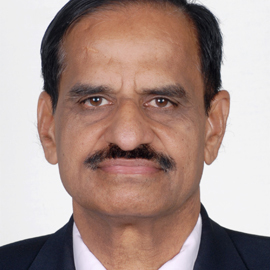 Arvind is an Independent Director on the Board of Mirc Electronics Ltd.
K.V. 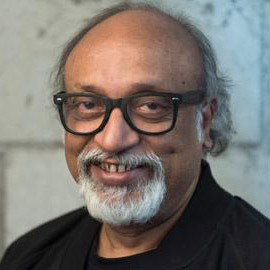 Sridhar, popularly known as Pops, is the founder and Chief Creative Officer of the Hyper Collective advertising agency. He has an experience of more than 40 years in the advertising industry. He is also the author of the book called, ‘The 30 Seconds Thrillers’, a book on the behind the scenes of popular ads from the past 30 years of Indian advertising. As Advisor, Prashant is engaged on programs under multilateral donor agencies, International NGOs, leading Social Sector Consulting firms & Corporates. 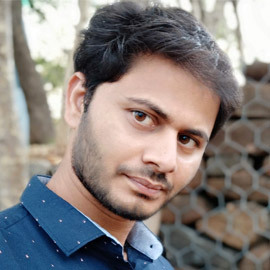 Prashant brings in a unique perspective through his corporate experience in business strategy, sales, distribution & marketing communication coupled with experience of working on Social Impact Programs in partnership with International NGO & Trusts. In 2009 he started the Vegetable division of Rasi Seeds (P) Ltd under the brand “HyVeg” and become CEO of the vegetable seed operation.”HyVeg” is a known vegetable seed brand in INDIA. Faculty member of International Service for National Agricultural Research (ISNAR, The Hague, Holland. He was member of the study group to do study in India regarding agriculture policies and managing new technologies for sustainable agriculture) for two years. Board Member GFAR of FAO. Private sector representative from Asia. Member of PHD Chamber of Commerce and Industry. Member of SFAC and ASSOCHAM and other food Industries. He received Fellowship and merit certificate from distinguished science bodies in India for higher studies. Got certificate of merit for topping the list of successful candidates’ consecutives for three years. Citation offered for leading the group “Young Adventurous Club” for adventurous travel. Received award from the American Bibliographic Institute for the outstanding contribution to the farming communities in India. Received Bhartiya Udyog Ratan Award in 2006 and 2015 for his Individual Achievements and National Development from Indian Economic Development & Research Association (IEDRA). Received recognition by Marquis” Who’s Who in the World” in 2013, 14, 15. Published 25 scientific articles and 25 general articles. Delivered more than 200 lectures on Biotechnologies, Policies, IPR and other agricultural related to wider audience in India and abroad. Member of IPC of ISF from Asia and presenting Asia's view on IPR. Dr. Rahul Mirchandani, has 23 years of experience at Aries Agro Limited, one of the top 100 most innovative and fastest growing Indian companies in the business of specialty plant nutrients. 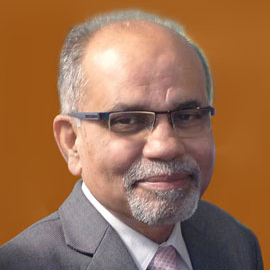 Ranked amongst the 30 most innovative CEO’s in India, pioneered several unique innovations in the specialty plant nutrition industry in India and several shock-and-awe brand building programmes. These include launching India’s first loyalty programme in agribusiness, India’s first Agribusiness flash sale (earning a Limca Book of Records), insurance-based customer retention programmes for farmers, executing the first nationwide single day launch for a specialty fertilizer to sustain and grow 75 rural brands with zero mass media advertising. Many of these strategies are being documented and taught as case studies in customer relations management at leading Indian business schools. Holds a Doctorate in Management Studies (Ph.D.), a CFA and an MBA from University of Canberra, Australia. Rahul has lectured at over 50 B-Schools in India and has designed taught courses in Economics, Innovation, Entrepreneurship and Marketing. A Past National Chairman of the CII’s Young Indians, he is also the architect of Yi’s Farmers Net, Next Practices and International Relations verticals. Recipient of the Bharat Ratna Rajiv Gandhi Yuva Shakti Award 2010 for outstanding achievements towards Youth Empowerment and Inclusive Growth, Rahul is also recognized as one of the world’s foremost achievers in his field and is the Founder of Commonwealth Alliance of Young Entrepreneurs and the G20 Young Entrepreneurs Alliance. He has represented India at the ILO, CHOGM and UN Habitat. Suhas P. Wani, Former Director, Research Program Asia and ICRISAT Development Centre, International Crops Research Institute for the Semi-Arid Tropics (ICRISAT), India. His scaling-up science-based interventions improved livelihoods of 10 million farmers in Asia adopting consortium model comprising of companies, NGOs, state governments and researchers. Improved management options benefitted five million farmers in Karanataka with US $ 453 million with 35% increased incomes on an average for each farmer each season through Bhoochetana program in seven years. 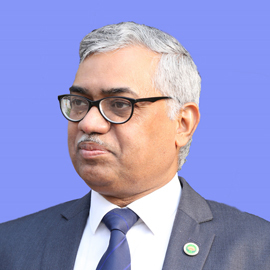 He has spearheaded number of Strategic papers for the Prime Minister’s Office (PMO) covering PMKSY, Soil health mapping, Pulses self-sufficiency, Direct benefit transfer, Weather–based crop insurance and Digital Agriculture. He crafted the pilot program for Doubling Farmers’ income in Maharashtra and Uttar Pradesh as recommended by the National Workshop on Doubling Farmers’ income held at VIF, New Delhi. He is Gold Medallist in Ph.D., has received Gold Medal from Govt. of Vietnam, and recognition from YAAS, China, GoI, ABP Mazha, ICAR, ICRISAT, Asian CSR Leadership Award, 50 Most Impactful Leaders in Water & Water Management. He has served on Unilever’s SAAB, serving as Jury for JSW-Times of India Earth Care Award, Trustee of SMSF-IRAD, Advisor of BAIF-IRD, Hyderabad, NRM & Climate Change, MSSRF, JSW Foundation. He has published >600 research papers and book chapters. Former, Director, Research Program Asia and ICRISAT Development Centre. 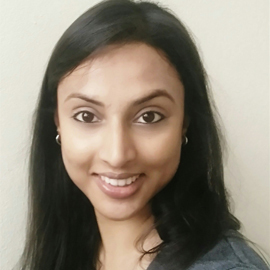 Jyoti Vaddi is a business whiz in her own right and has multiple facets to her professional journey, in various capacities in domains that include Data Science, Sales and Marketing. She has a versatile experience of working with multiple startups and established organizations. Presently, she heads the Marketing and Business Development functions at CropIn Technology. CropIn is a leading global full-stack agri-tech organization that enables the agri ecosystem to drive initiatives around Digitization, Predictability, Sustainability and Traceability. CropIn is driven with the mission to 'maximize per acre value' and the vision to 'make every farm traceable'. CropIn has so far digitized nearly 3.2 million acres of farmland and impacted nearly 2.1 million farmers in 29 countries globally. She believes that farming should be data-driven and collaborative. With CropIn, she is on a mission to evangelize the adoption of agri-tech. She is passionate about brand building and digital marketing communications. Her core strengths are her team management skills, action-oriented approach to tasks at hand, and a progressive outlook at the business on the whole. She is a firm believer of values that drive the organizational culture onward and beyond. Prof. Bejon Misra has 45+ years of professional career with 35+ years on Consumer Education and Advocacy globally. Founder Trustee & Director of Consumer Online Foundation and Patient Safety & Access Initiative of India Foundation. Awarded the “Distinguished Alumni Award" 2012 by Institute of Management, BHU. Award Winner of World No-Tobacco Day 2013 by WHO; Recognized by NABARD, as a Rural Innovator. Board Member, Quality Council of India, National Accreditation Board for Hospitals & Healthcare Providers and National Accreditation Board for Education and Training. Member Central Advisory Committee, FSSAI, Adviser to the Government of Odisha and Senior Advisor, Alliance for Safe Online Pharmacies (ASOP) Global. Member on several Expert Groups; framing Government Policies like the Mashelkar Committee for Review of Drugs Regulatory System and Tandon Committee on the Scientific and Technological Measures to Counter Spurious and Sub-standard Drugs and Diagnostic Centres in India. CORE Group Member of the World’s Largest Study on the extent of Spurious & NSQ medicines in the supply chain. Founder Publisher, of an English Monthly Consumer Magazine, THE AWARE CONSUMER. Prof. Misra has travelled to more than 35 countries as Leader or Member of India delegations on various international negotiations. Vinayak Raman Sharma has earlier worked with UPL/Advanta as Head - Sales & Product Development (South Asia) for Field crops. 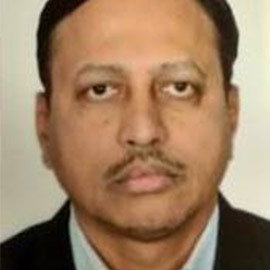 He has 26 years diverse working experience in Agro chemicals and Seeds in various organizations including Bayer, Dupont – Pioneer, Advanta-UPL and DCM Shriram. 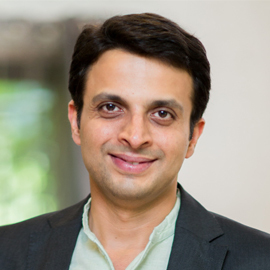 He handled various roles across geographies in Sales Development, Product Management and Business Development. He has a credit of turning around the business to profits while establishing new crop portfolios and bringing up the sinking ones, a start-up experience of establishing sales and distribution set-ups, handling diverse portfolios of Sales, Strategic Marketing, B2B Business, Soft Skill Trainings, Data Analytics, Executing IT applications for Business Function and CRM. Vinayak had been honored with “Most Talented Marketing Professional” award by World Marketing Congress in the year 2014. He is also a visiting faculty at Agricultural Universities and Business Management Schools and interact with students as an Agri expert. He is also on board of Advisors of Centre of Agri Management, Uttkal University, Bhuvneshwar. 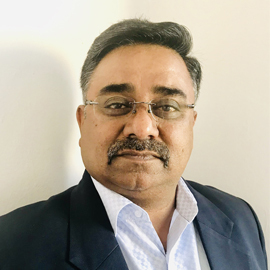 With over 28 years of experience with Smartchem Technologies Limited (STL), Mr. Naresh Deshmukh brings with him extensive domain knowledge in direct sales, business development, strategic planning, operation management and marketing. 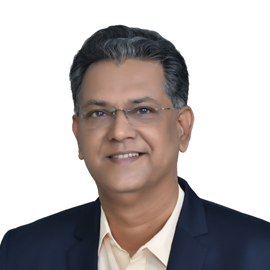 Mr. Deshmukh has worked across different geographies spanning the states of Maharashtra, Gujarat and Andhra Pradesh and has managed different responsibilities across work levels within the organization. He has played a pivotal role in developing new markets, establishing sales volume and nurturing new product categories for the crop nutrition business at STL. Mr Deshmukh is well known in Industry as a Speciality Fertilizer man, instrumental in development of Speciality product Portfolio and taking STL as market leadership in country by understanding growers key ask especially in cash crops and developing the crop specific strategy by focus approach. Mr. Deshmukh has been instrumental in introducing the most revolutionary product in bulk fertilisers category in the year 2018- Smartek. Smartek is the first of its kind Torrent coated bulk fertiliser which has combination of organic and inorganic fertilisers. The product has hit the market in January 2018 and is creating excellent results for the farmers by helping them improve their output quality and incomes. Ever since it’s launch, Smartek has won many awards, the most recent one being ICFA award for Technology Leadership in Technology innovation Category. Mr. Deshmukh is a post graduate in Agriculture Extension from Mahatma Phule Agriculture University. After serving UN at Geneva and Indonesia he returned to India and founded BKC WeatherSys Pvt. Ltd. In 1989, India’s first private sector weather company. He incubated another company Skymet which is now well established weather company in India . WeatherSys had been system administrator for NASA in India for nearly 5 years.. BKC - WeatherSys have been pioneers in weather and solar measurements having set up Radars, Satellite receivers Solar measurement stations for various Civilian and defense organizations. WeatherSys patented ‘metGIS’ software is widely in used in India Met Departments, IAF, Navy DRDO. etc.